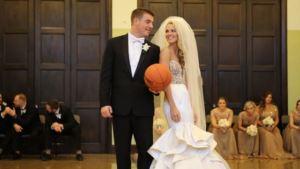 Allie LaForce & Joe Smith – Cleveland Wedding Videographer – Old Courthouse Wedding Reception from Mystic Image – Cleveland Ohio on Vimeo. Allie LaForce & Joe Smith Wedding at University Circle United Methodist Church in Cleveland and Wedding Reception at the Old Courthouse in Downtown Cleveland. « Jennifer & John – Wedding Film at St. Clarence in North Olmsted and Wedding Reception at the Fountain Bleau Event Center in Avon Lake, Ohio.